Your toddler is about to get a lot cooler. This mini backpack is perfect for the 2-5 year old crowd. 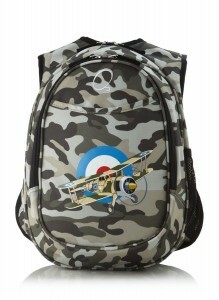 It features a dark camo motif with a vintage bi-plane decal. No kid could resist the sheer coolness of this one. it has a grown up look with a kid in mind.